Manchester United and Barcelona – will face off for a semi final spot in the pick of the Champions League quarter-final matches. Man Utd completed a historic comeback to overturn a 2-0 home deficit and book their place in ucl quarter-finals at the expense of PSG in Paris. 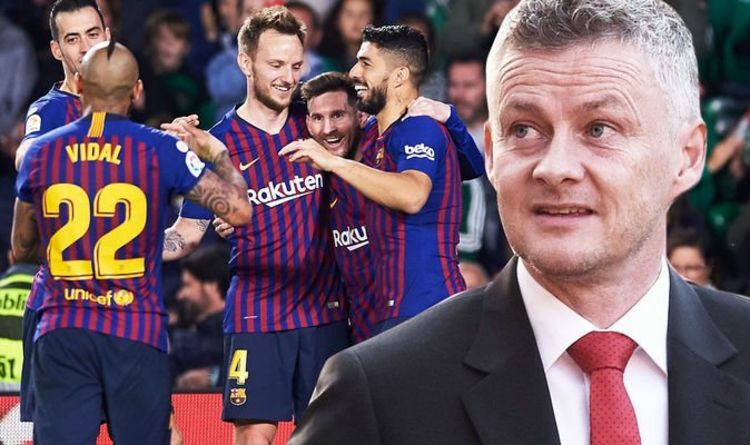 Ole Gunnar Solskjaer’s team will have to do a better job than Lyon to stop Barcelona’s Lionel Messi who is in sensational form as Ernesto Valverde’s Blaugrana hunt down a possible treble. Alexis Sanchez is still out with a knee injury, though it is unlikely the Chilean would have started anyway. Ousmane Dembele is in the squad to face United though he has not been declared fit. Barcelona have a good recent record against United in this competition. In the 2011 final they beat United 3-1 with an inspired Lionel Messi, and in the 2009 final they triumphed 2-0. Of course history shouldn’t count for anything when they come face-to-face this year.